California is well known as a hub for some of the finest dining locations in the nation. With brand new luxury apartments for rent in Mountain View, CA, many new to the city might be unsure of where to get the most exquisite meals. Therefore, we've created a guide featuring only the top-tier locations, suited for finer tastes. Bon appetit! Attentive and refined, the service experience at Ambience is a blend of the formality found at high-end restaurants in New York and the more relaxed feeling of the Silicon Valley. The intimate setting creates an elegant atmosphere suited for the artisan dishes served here. You'll want to set aside enough time to fully enjoy their multiple course tastings menus where each dish is paired with a wine that elevates its various flavors. Decadent delights such as their Bone Marrow Portage, Roasted Elk Tenderloin with Berry Morel Mushroom sauce, and Kobe Beef tartare are sure to leave your taste buds in awe. With exceptional plating and service, Ambience is a must try for those living in the area. Tucked away to the point of almost hidden, Chez TJ is home to master chefs that create memorable meals with incredibly meticulous plating. An interesting bled of French cuisine with Asian touches, their tastings are like no other. Patrons have a choice between the California or Global ingredient inspired menus, each of which features mouthwatering selections and succulent chocolates for dessert. Once you've chosen your course styling for the evening, prepare to be blown away by the creations that come from this kitchen. With coat check at the door, reservation for one or many, and complete consideration for food-borne allergies on top of masterful creations, Chez TJ is the cream of the crop for those who have settled into the luxury apartments for rent in Mountain View, CA. If you have ever eaten at an Alexander owned location, then you already know that The Sea is going to impress. The spaciousness creates a relaxed and calming environment, perfect for eliminating the stresses of the day. Choose from a large list of appetizers created with finesse by experienced chefs then decide on meats, fish, or surf and turf like you've never had before. A top suggestion would have to be the lobster and 8oz wagyu dish, but there are no wrong choices when picking off of this menu. The fish is amazingly fresh, and the cuts of meat are superb. When it comes to dessert there are more than enough options, if you still have room for them. Scrumptious chocolate dishes, a truly unique cotton candy, and more all make perfect finishes to a fantastic meal. The finest in Japanese dining, Hiroshi features hand cut crystal glasses and tables made from ancient Keyaki trees. Choose from their fantastic wine selection, all displayed on an iPad, then choose from a vast menu of incredible dishes. With A5 Wagyu flown in weekly from Japan, there's no better place to taste this exquisite meat the way it was meant to be eaten. Several of their dishes revolve around these rich cuts of beef. While you're waiting for a seat, take advantage of their oxygen water infuser with Hawaiian water. From the first bite of exotically seasoned vegetables to the final spoonful of dessert, this is a priceless experience. This French eatery features copious amounts of natural lighting, as well as an event room where the walls are lined with wine bottles. A classic atmosphere and specialty wines for those with refined tastes is a great start, but it is the menu that truly makes this location stand out. Seared Foie Grass with shaved black truffles, Braised Duck Breast with sour cherry and sage, Slow Poached Lobster with lemongrass, and Roasted Beef Tenderloin with bone marrow ravioli are just a few of the outstanding dishes to give you an idea of what to expect. For dessert, think souffles and cakes paired with creams and fruits that taste like a true slice of heaven. Proper retire is required when eating at Le Papillon, solidifying its high class atmosphere. Top all of their wonderful features off with an elegant bar staffed by experts who can craft a Martini to beat all Martinis and this French restaurant near the luxury apartments for rent in Mountainview, CA, is the definition of fine dining. The first thing most notice when entering La Fondue is the exotic decor. The waiting area gives off a 60's/Andy Warhol-esque vibe, while the dining room itself is more Medieval and Gothic in design. The dark atmosphere makes the fondue flame stand out, accentuating as the centerpiece of the table. Your meal begins with a salad of your choosing, then the option of various cheeses to create an exemplary fondue. This is followed by a main course of meats and fish with a choice of the style in which they are cooked, then a chocolate dessert fondue. From start to finish this an incredibly unique experience. Every aspect of the meal is created from fresh, top quality ingredients to ensure a delicious endeavor. With so many options to choose from in each course it can be a little overwhelming at first, but you can't go wrong with any of the choices you make. Each bite is going to be more delicious than the last. Albeit different, it is an oddity you want to miss out on. 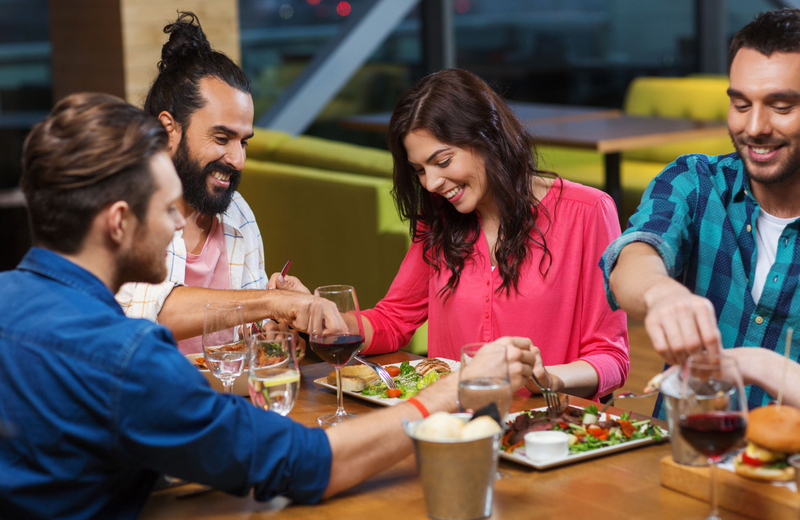 All of these fine dining locations are a short distance away from Carmel's The Village Residences, a contemporary new community of apartments right in Mountain View, Ca. Experience the lavish lifestyle of styled interiors, rooftop retreats and convenient amenities. All of which are mere steps away from a vibrant streetscape filled with best in designer shopping, cafes, and a neighborhood park. Just beyond the vibrant street are central freeways and major tech campuses nearly minutes away from these luxurious homes. The Village Residences isn't just a home, it's a whole new way to live.